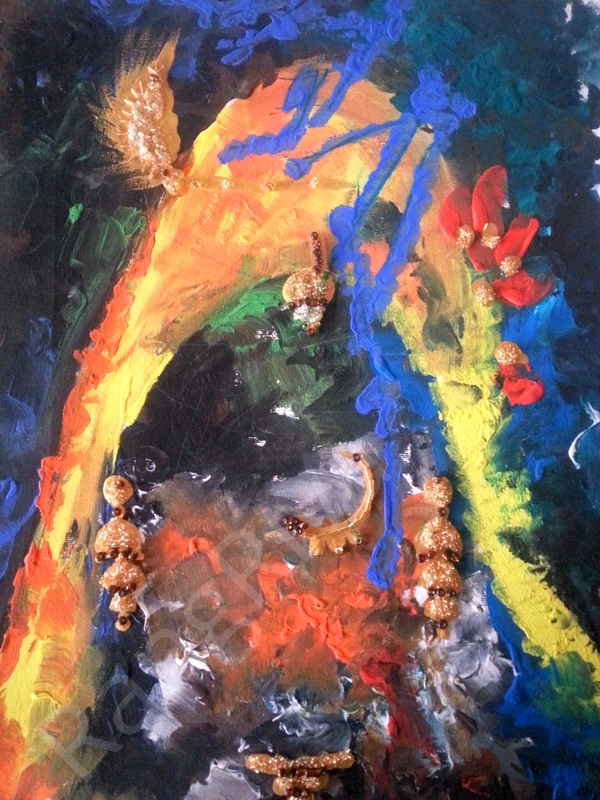 The painting shows the visibility of jewels on the body of a bride and the treatment of a human like an object. Her own existence is lost and evaluated with the dowry she gets. Dowry transactions have become a social evil and the families of Indian grooms make endless demands on the bride’s family. In numerous cases, the newlywed bride has been murdered by her in-laws or driven to commit suicide. Many victims are burnt to death by being doused with kerosene and set on fire. The husband and his family will often claim it was a kitchen accident with the kerosene stove. India’s National Crime Bureau reported that there were approximately 8,233 dowry murders in 2012. Women are gifted with immense strength and tolerance, which is often understood as weakness. For centuries, in various forms, women have faced exploitation. This image is a ‘shout’ to awaken her real identity. This image is to make her realise that it is time to stand up & ‘Ride’ for the right. This image is a tribute to all the innocent ones who left this world fighting cruelty & violence. Poonam Sharma was born in Jaipur, India. 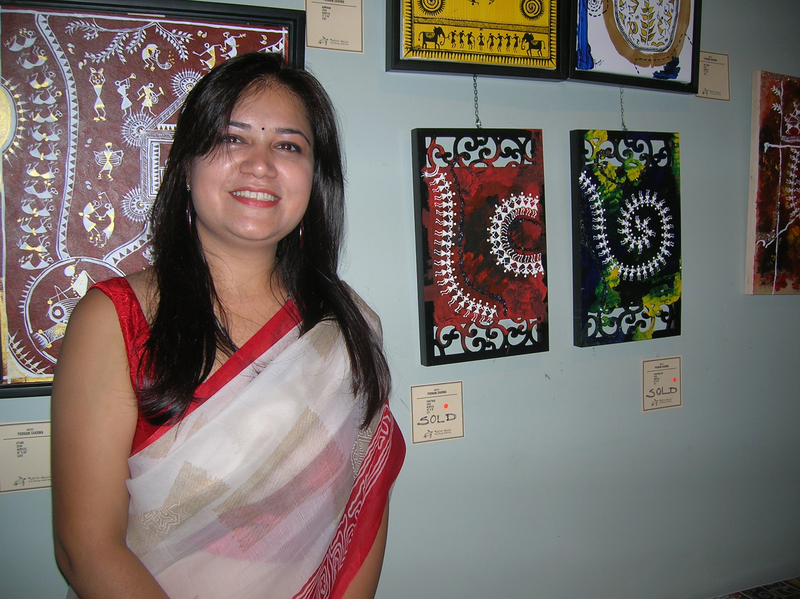 She creates traditional Warli tribal Art & Contemporary Art. Her work has been exhibited extensively and won numerous awards.